New Landmark Christian School Coach Lady Hardmon Grooms. Photo/Landmark School. Landmark Christian School has named Lady Hardmon Grooms as its new varsity head girls basketball coach. Coach Grooms comes to Landmark after serving as the head girls basketball coach at Greater Atlanta Christian School in Norcross since 2014. In her five seasons leading the Spartans, her teams appeared in three final fours, including state runner-up in 2017. Coach Grooms has a long history of success at every level of women’s basketball. She graduated from the University of Georgia with a degree in education. During her time at UGA she placed herself in the program’s top 10 all-time for scoring, assists, and steals. Additionally, she was a two-time All-SEC performer (1990 and 1992), and was named an SEC Legend in 2010. Lady Grooms was then a part of the inaugural WNBA draft where she was a first round pick. After eight seasons playing professionally she became the assistant coach for WNBA’s New York Liberty for three seasons. 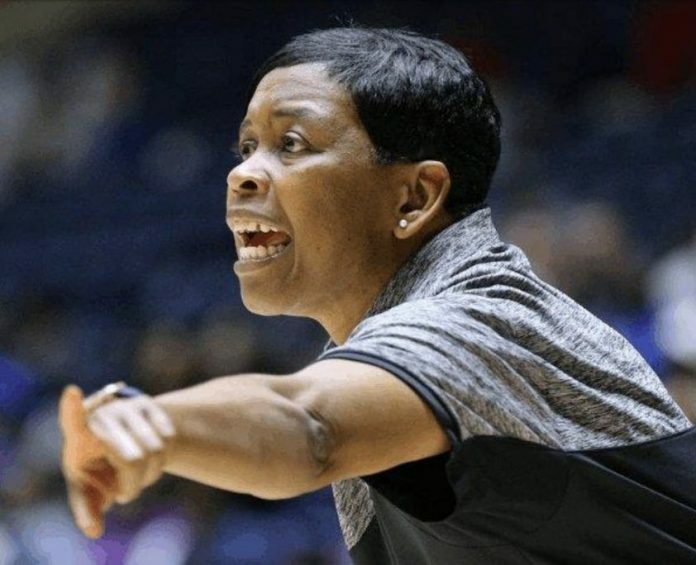 Coach Grooms then spent seven seasons as the head coach at Arlington Christian School in Fairburn, Ga., where she won four consecutive GISA State Championships (2009-2012). Landmark has campuses in Fairburn and Peachtree City.